Martyn Collins Digital and Social Media Marketing Services: Social Media Travel Planning May Grow, But Will It Make Money? Social Media Travel Planning May Grow, But Will It Make Money? A Facebook executive is appealing to travel companies to make more use of the social platform to market and sell their products and services, especially with the pending launch of the “Timeline,” an alternative to Facebook profiles that will seek to tell each user’s life story. “I can tell the story of my life, and a big part of the story of my life is the places I’ve gone,” Dan Rose, Facebook’s VP-partnerships and platform marketing, noted in a speech at the PhoCusWright Conference earlier this month in Hollywood, Fla. Products, websites and applications can be integrated into the timeline. Rose noted that Facebook now has an individual, Jeremy Downs, dedicated to working with travel partners. Rose probably was preaching to the choir at the annual conference, which focuses on technology’s use and revenue-generating potential in the travel industry for planning, marketing and selling. At the PhoCusWright Travel Innovation Summit that preceded the conference, many of the innovators were touting products that try to make better use of social media - friend suggestions, friend experiences and the extensive data they can provide on a person’s likes, preferences and behaviour - for travel planning and selling. The key for airlines and other travel companies, of course, is whether social network planning for travel can be monetized, either by themselves or a partner. 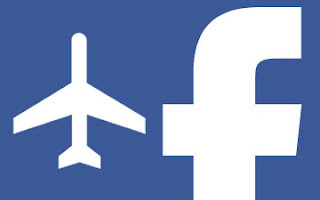 Right now, most airlines use their Facebook pages and other social media to promote their products or advertise deals, although a few have taken the next step. Malaysia Airlines, for example, has a booking application on Facebook that incorporates social media elements. Delta also has a booking platform, and Alaska Airlines has an application that shows where a customer’s friends live and the cheapest Alaska fare for getting there, although users are directed to the Alaska website to select and book the flight. The conference offered some intriguing possibilities for making money from social network travel planning in the future. For example, an existing website called Groupize is poised to automate customized group travel bookings for five to 25 hotel rooms and says it also may direct those customers to airline group travel desks after they complete the hotel booking. Perhaps more importantly, Groupize President Charles de Gaspe Beaubien says, the site is in the “conceptual” stage for automating similarly sized group bookings for airlines. Even if that automated airline group concept comes to fruition, automated group bookings for airlines are at least two years away, he says. But an easy-to-use group travel booking function for consumers could be a key for airlines to take full advantage of social networking. Beaubien, showcasing his product at the conference, notes that there is airline interest in the product. Two airlines asked about using the hotel booking product internally for their websites and call centers, he says. Groupize, which has negotiated group rates for 45,000 hotels worldwide, is offering its hotel product as a white-label application under revenue-sharing agreements. Groupize incorporates some social elements into its hotel booking feature, enabling exchanges between group members. It allows for a single credit card to be used to hold the bookings, followed by an invitation to friends or group members to make their payments. One potential Groupize collaboration could be with Gtrot, which won an Innovator award at the conference for a system that uses social media to provide its users with hotel, restaurant, activity and other destination-related recommendations. Gtrot, with 102 transaction and content partners to date, makes money from the 12-30% cut it gets from referred bookings for flights, hotels and restaurants and deals offered by partners, such as Living Social, co-founder and COO Brittany Laughlin says. Users who connect social media accounts, such as Facebook, Twitter and location-based Foursquare, to Gtrot receive instantly personalized recommendations based primarily on passive signals from their networks, such as check-ins, and see thumbnail images of the friends who have visited the same place. Friends who have been there or live in the area can be invited to give a thumbs up or down, and reviews from elsewhere on the web can be substituted to create the recommendations if there are not enough or no friends to provide opinions.